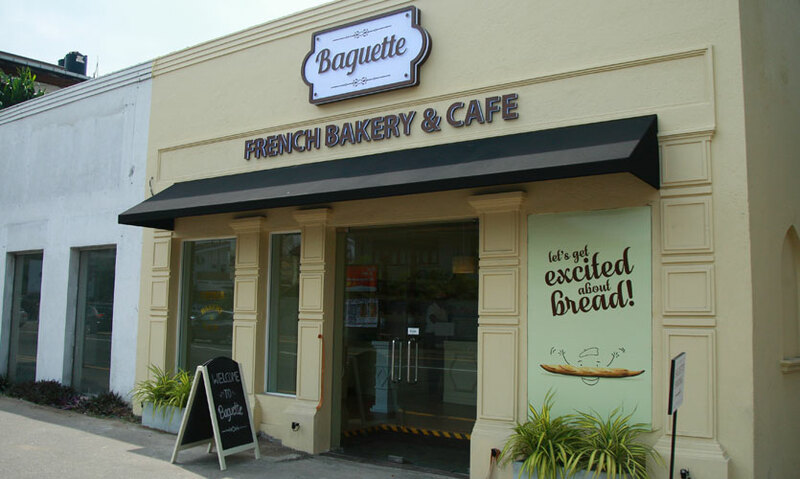 Baguette is a small corner of France at the heart of Colombo. This café and bakery opened its doors to the crowd on the 10th of January. 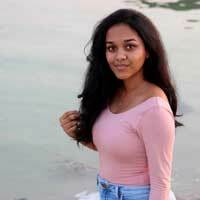 The French café is located right on the main road at Thunmulla and is a quaint and cozy café with a daffodil yellow theme on the outside. As you enter, you are greeted by the fresh smell of baked goodies and a minimal interior to embrace. All the food items are laid out in a glass case counter so you can choose your items easily. For drinks we had an iced coffee and latte. When you order the Iced coffee, don’t expect a classic Sri Lankan ‘kiri kopi’ with overloaded sugar. This is a classic French style black coffee. You can request for the milk. The Latte was our second and favourite drink. However, the quantity of foam could have been reduced. The coffee flavour was superb. 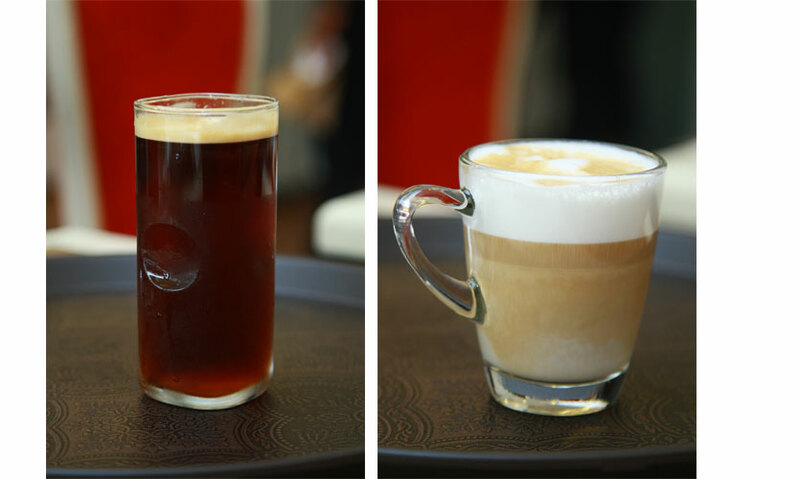 Any avid coffee lover would be able to taste the quality of their coffee. Although their drinks were satisfying, we were really there for the bakes and breads! We have heard some great stories about Baguette’s croissants and we simply couldn’t wait to try it! 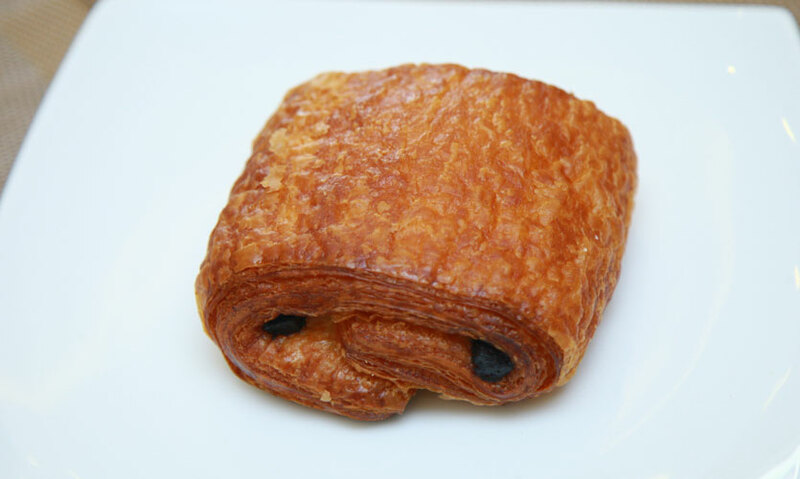 Our first item was a plain old classic croissant. This was simply delicious. The rumors were right. 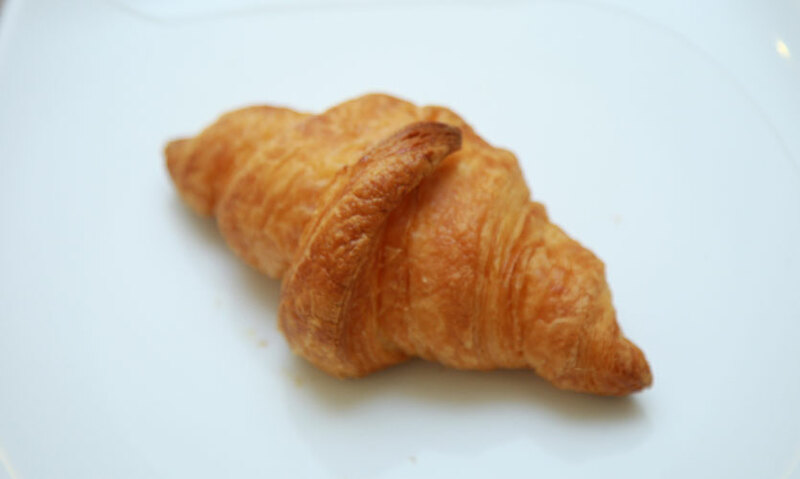 The croissant was soft and fresh and had a pleasant buttery flavour. We then tried the Turkey ham croissant. This goes on our favourite list for sure! Why? The quality of croissant cannot be questioned. 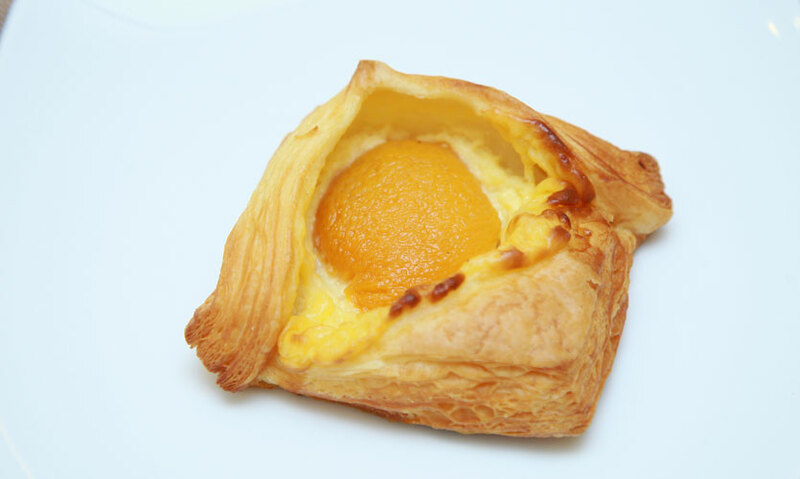 Additionally, the ham and cheese used in the pastries are imported and so, assure good quality. This sandwich croissant is larger than their normal croissant. 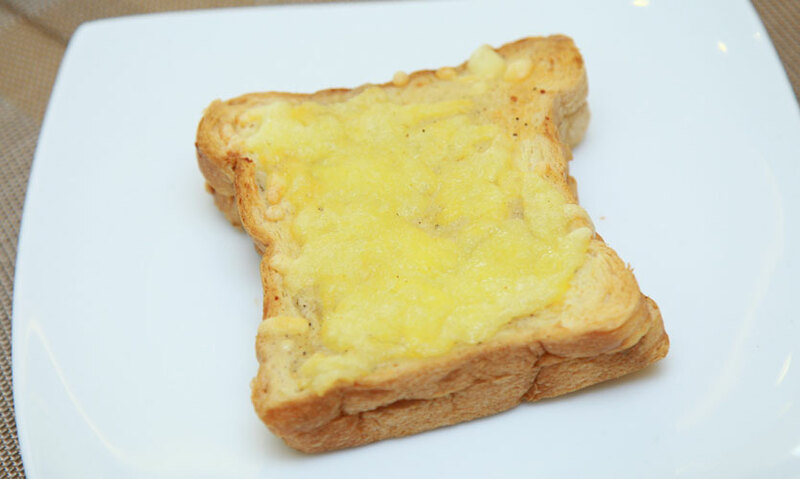 The Croque Monsieur is a fried sandwich with turkey ham and cheese. This is quite a filling sandwich possibly due to the fry factor. FYI, the sandwich is loaded with cheese (yum). After having savories, we wanted to have a taste of the ‘sweet stuff’. We quickly grabbed the cutest item on the list – the French Lunette. 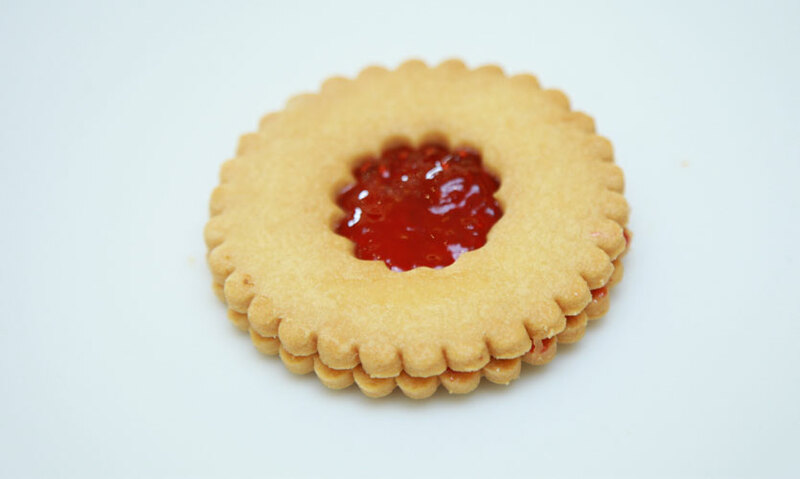 After tasting this buttery cookie filled with raspberry jam, we declare it a tea time favourite! The texture and flavour of the cookie and jam were superb together. I’ll take a box of lunettes, please! How could we leave without trying the Chocolate croissant? Yet another delicacy at Baguette, the croissant filled with chocolate is irresistible (I actually went back last Monday to get these). The chocolate filling inside was soft. This is SO important. Nobody wants to have a dried chocolate croissant, right? Let’s end our review with the sweetest item of them all. The Peach tart is probably a hit at Baguette. Want to have a bet? This square pastry has the cutest, most plum piece of a peach on top. This item is creamy and exquisite. This goes on the must-try list for you! 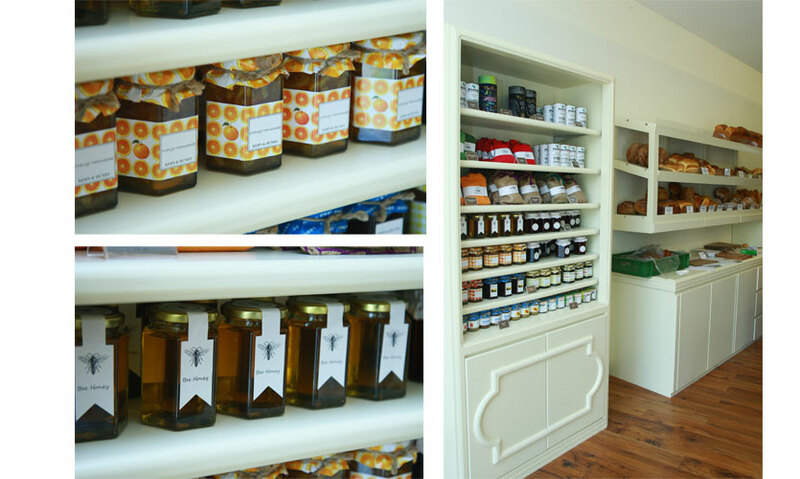 Baguette also sells jams, honey, mustard sauce and other items like cold cuts, sea salt. We are yet to give this a try. They also sell various breads like baguettes (is that even a question? ), focaccia, rustique bread, brioche loafs, bagels and much much more. I really can’t list the 20 odd bread items here. Since this is Baguette’s specialty, you must give this a try.